Visiting Bali for the first time? Looking for some inspiration about things to try in Bali? Here are 7 things you should try in Bali on your first trip. Bali is a must-visit destination. The Indonesian island’s popularity grows and grows every year and it’s not hard to see why. There’s something to suit everyone, whether you’re a foodie, a culture and history buff, an adventurer, or you just want to spend some time relaxing. You might even want your trip to encompass a mix of all those things! 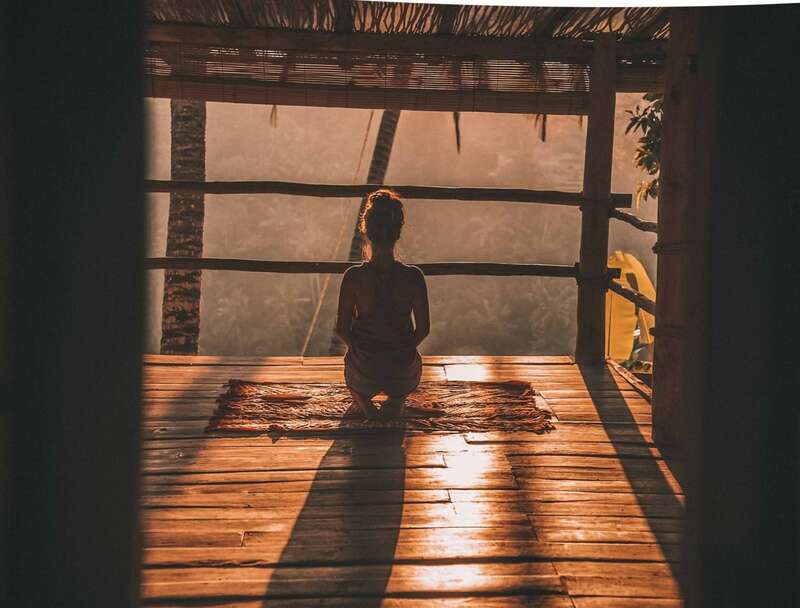 If you’re new to Bali and struggling to decide where to start, why not use this list as an inspiration? Here are seven things to try in Bali on your first trip. Bali’s rice paddies and terraces are UNESCO World Heritage Sites and many of them are still farmed. Set in acres of lush green fields, the rice paddies are normally quiet spots and provide you with wonderful views of unspoiled nature. If you’re looking for tranquility, you’ll find it here. Ubud is home to the island’s most artistic community. You can find galleries, markets, and museums, all displaying (and often selling) unique pieces, from paintings and textiles to wood carvings and crockery. You could even attend a class or workshop, and create your own masterpiece to bring home. Bali has a reputation as a surfer’s paradise, thanks to the quality of the waves, so no matter how much experience you have, there’ll be something for you here. Beginners can hire equipment and take lessons from one of the many schools, while more seasoned surfers can visit different beaches on the island to catch the best waves. 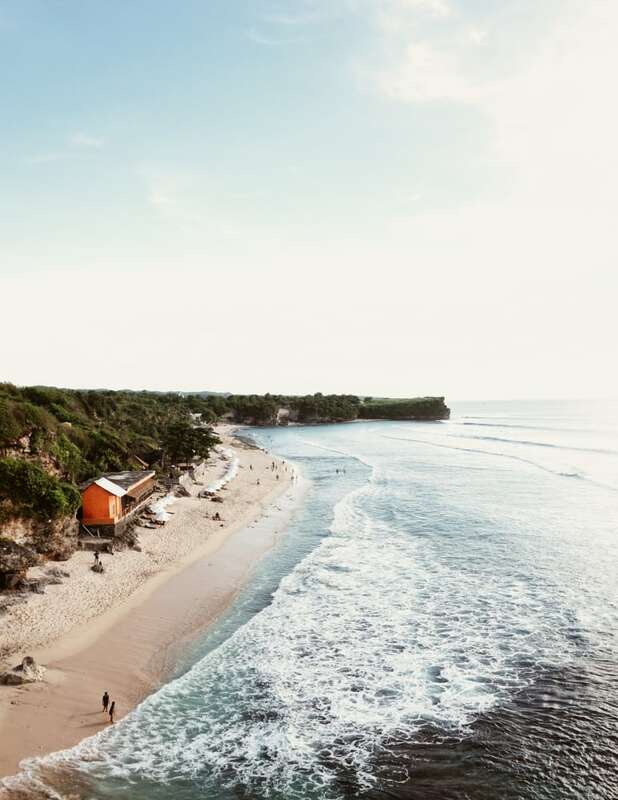 Bali has no shortage of stunning beaches, so take your pick! Social butterflies will love the fun, party atmosphere of Seminyak, while those seeking some peace will prefer the chilled-out Balangan. Meanwhile, Nusa Dua has lots of activities on offer and the waters are clean and gentle, making it ideal for families. Whatever you’re looking for, there’ll be a stretch of sand to suit you. Few people return from Bali without mentioning the food, and for good reason. It’s fresh, delicious, and has plenty of flavour, plus it caters to practically all tastes and dietary requirements. As with most Southeast Asian cuisine, rice and vegetable dishes dominate, but there’s also plenty of marinated meat and freshly caught seafood on offer. Vegetarians will enjoy the Tahu and Tempe — fried soybean curds which have been battered and fried — and there’s also a thriving vegan scene. You could even take a cooking class — it’s one of the best ways to experience local life firsthand. You’ll start by heading to the nearest market, before heading to the kitchen to learn how to prepare a Balinese meal from scratch. The best part? You’ll be able to eat it afterward (and get to know your hosts much better). Note: The hustle and bustle of the markets is fun, but keep your belongings secure; theft is the most common crime experienced by tourists. Music and dance are a huge part of Balinese culture, and the perfect way to get to know more about it. Each region has their own dance, which is performed to live music and often followed by a buffet dinner. Check out this list of places to enjoy Balinese dances to find a performance near you. The beautiful sunsets can be seen from almost anywhere on the island, but make your way to Jimbaran Bay for the best spot. There’s a lot to do, so why not stroll along the pristine white sand and stop at one of the barbeques along the way? Bali is a paradise for every traveller. 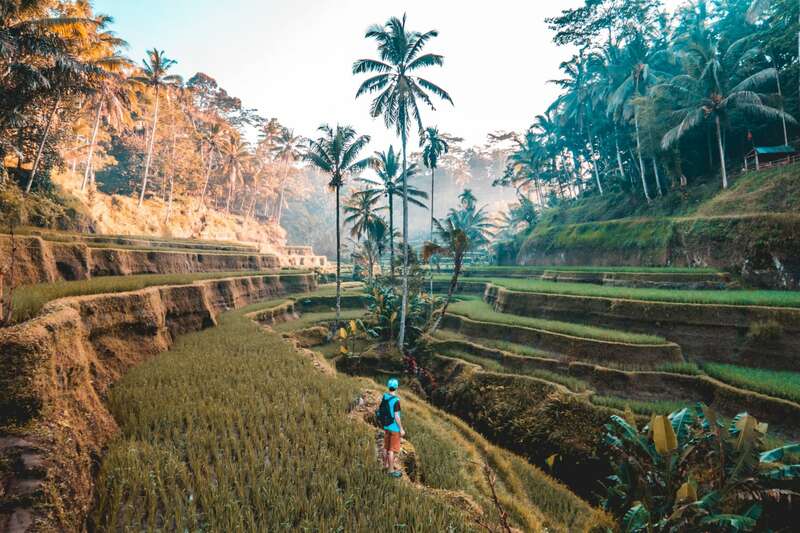 If you are visiting Bali for the first time, you can begin with things like exploring rice paddies, trying local food, attending a traditional dance performance, go surfing or just relax at a beautiful beach. If you’re looking for some inspiration about things to do in Bali, these ideas will get you going. Already been to Bali? How did you spend your time there? Do share your experience! This was a guest post authored by Emily Scott. Emily is a freelance travel writer residing in the UK, juggling looking after her 5 and 2-year-old boys with her writing. With her work spanning from how to look after your family to travelling with them, she writes from experience to provide authentic and useful tips to parents across the world. What do you think about this article? Share your feedback!